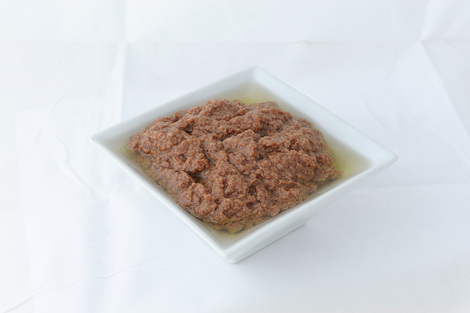 Olive paste is a smooth puree made from ground olives. 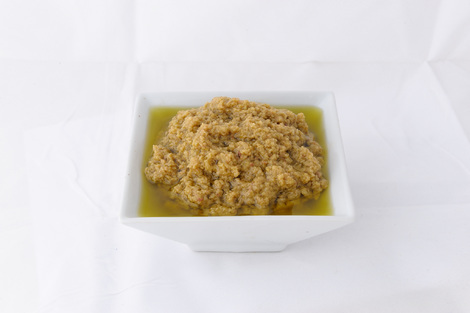 Each of our home-made-style olive paste is dressed with an extra virgin olive oil and offered with herbs and spices or plain. 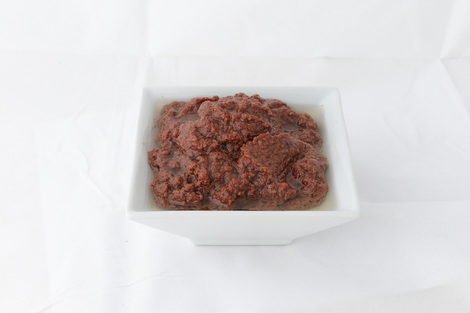 It can be used in a variety of applications: spread on melted cheese sandwich, toasted slices of baguette or layered between a stack of fresh mozzarella tomato and basil. It's a great dip for vegetables, topping grilled fish and even tossed into a pasta salad.